Jennie has officially completed her second hike with Foster Dog Summit. While it was a lot longer than we intended, Jennie is now safe and back in her foster home waiting to be found again - this time by her forever family! This morning, Jennie was in the humane trap that was set for her. Our sincere thanks to everyone who assisted in the search. We are so grateful for your time and support of the effort! We will provide a more complete report of the journey later today. In the meantime, please share Jennie's Petfinder.com profile and help find her a home of her own. You can read about Jennie's first hike here. Again, thank you everyone for your help with our search over the past four days! Jennie is safe and back home with her foster family! 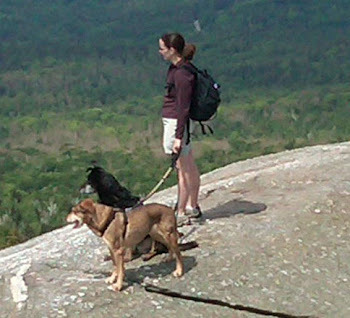 Jennie, a foster dog summit hiker, is missing from the trails of the Castle in the Clouds Property located in Moultonborough, New Hampshire. Missing from start of Mt. Roberts Trail on the morning of March 31, 2012 at approximately 10:30 a.m. She headed right, off the trail into the woods, towards the Cold Springs Road/Trail. Last sighted on the morning of Sunday, April 1, 2012 at 10:00 a.m. on Shannon Brook Trail and then bushwhacking her way down the area just below Bald Knob Cutoff Trail. Still wearing a pink collar and dragging a pink leash. 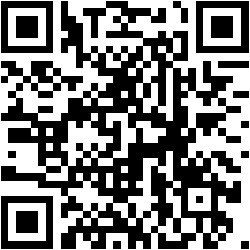 If you have a smart phone, you can link directly to the information on this page into your phone using a QR code scanner on the image provided below. Please post and share. Thank you.